Vernissage superior aesthetic studio, centrally located just 15 minutes from downtown Vancouver and 10 minutes from renowned South Granville St. shopping area, will make you look and feel your best. 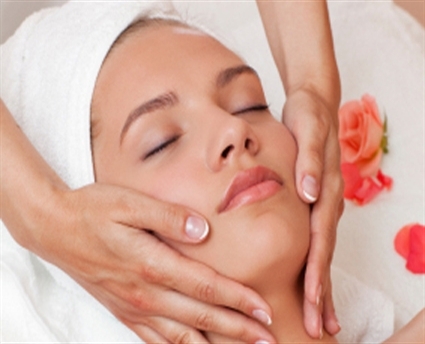 From simple manicures to more deluxe facial treatments, we will attend to all your beauty needs with an expert touch. A licensed and registered aesthetician, electrologist, laser technician and cosmetic tattooist, Elena has provided exceptional aesthetic services to her clients for the past 18 years. Her charming studio is conveniently nestled between Vancouver and Richmond (located at the bottom of Granville Street, just north of the Arthur Liang Bridge and YVR) and easily accessed from surrounding Richmond, Burnaby, Delta, and Surrey. Offering a full range of aesthetic services, Elena provides a personalized approach to beauty and skincare and tailors her services to meet your skin’s needs. Her thorough understanding of skin science and her attention to detail combined with years of experience help her deliver the highest quality of care. Using only leading-edge technology and top-of-the–line European products, Elena will help you look and feel your best. Trust Elena with your skin and you’ll see the difference her commitment to personal care and expertise makes.